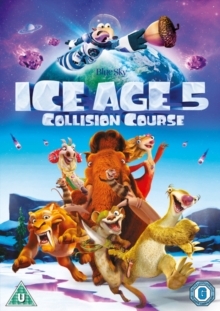 When Scrat (voice of Chris Wedge), still determined to get his elusive acorn, finds himself catapulted into outer space, he crashes his craft setting off a series of catastrophic cosmic events that threaten the future of planet Earth. As an asteroid hits Earth, Manny (Ray Romano), Ellie (Queen Latifah), Sid (John Leguizamo), Diego (Denis Leary) and the gang decide to pack up their things and move as far away as possible from the falling boulders. The all-star voice cast also includes Melissa Rauch, Jennifer Lopez, Simon Pegg and Adam DeVine.